Love Fine Diamonds: Diamond Engagement, Eternity & Wedding Bands. Hatton Garden Jewellers. Give your engagement or eternity ring that added sentimental value to commemorate the occasion. At Love Fine Diamonds we offer an in house complimentary engraving service on all engagement and wedding rings to your specification. The professional cleaning of your engagement ring is recommended as often as once a year. To help you bring your rings back to showroom standard at Love Fine Diamonds we offer a lifetime complimentary polishing service and inspection. Fusing exquisite, natural diamonds with our own contemporary designs, at Love Fine Diamonds we will only source flawless high quality GIA certified diamonds sourced under the Kimberly process, preventing the trafficking of conflict free diamonds. Hand-made to your specification in our Hatton Garden studio. Our halo engagement rings are available in platinum, yellow gold, rose gold & white gold along with a stunning range settings and diamond shapes. 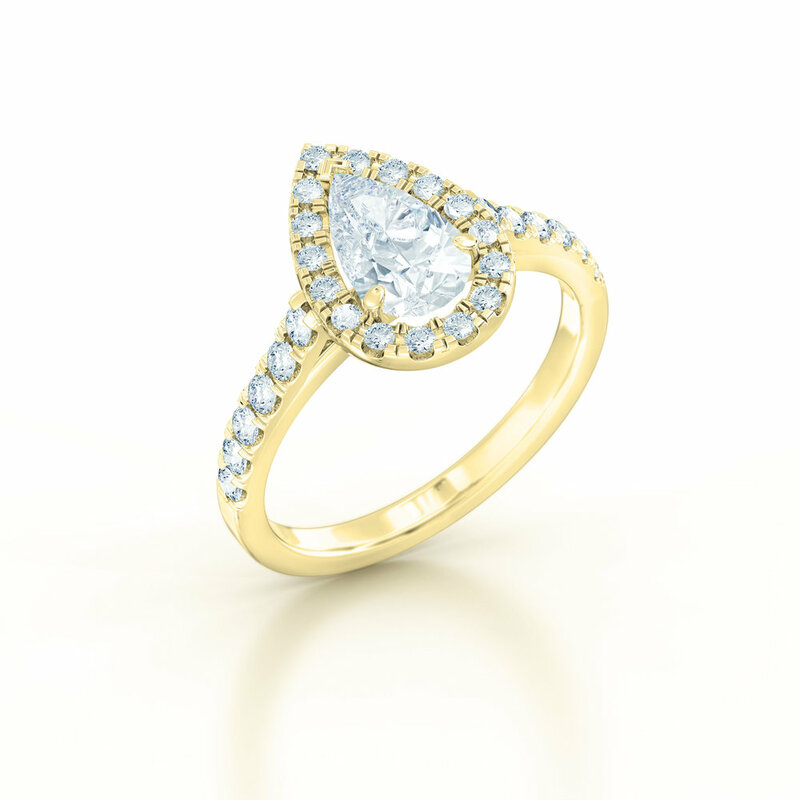 Priding our selves on our unique contemporary designs, the addition of a halo of diamonds encompassing a central stone adds emphasis on size, whilst contributing a delicate fine detail to the overall design. Our diamonds are sourced from mines all over the world to bring you the finest quality stones, of outstanding colour and clarity using only GIA certified conflict free diamonds. The final amount of your ring will depend on the shape, cut, colour and clarity of your diamond choice. Here at Love Fine Diamonds we strive to bring you both quality and value no matter what your budget is.